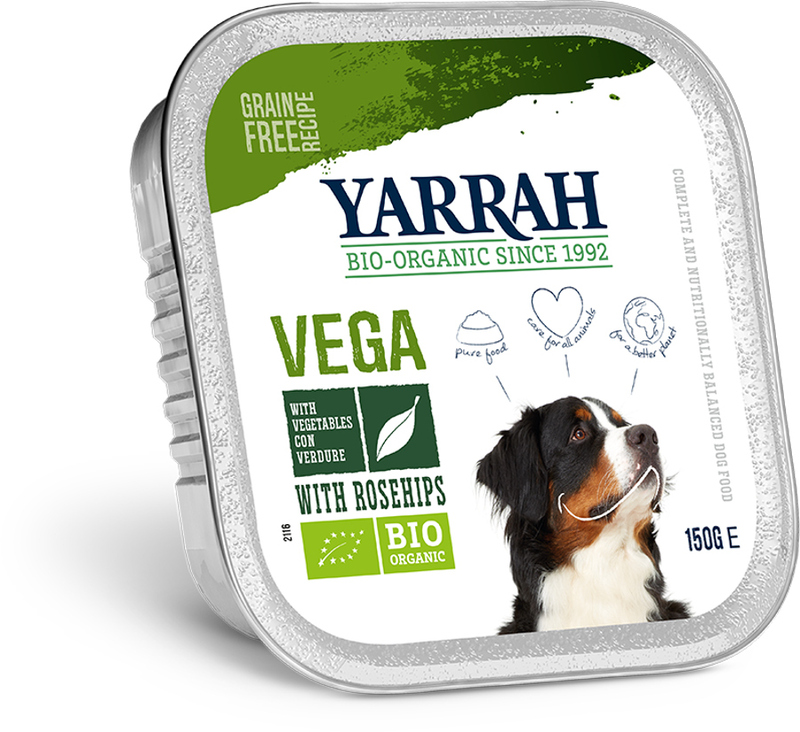 This complete food for adult dogs is 100% organic and vegetarian providing your pooch with delicious chunks and vegetables which contain no artificial additives preservatives or sugar. Soya(A), vegetables(A) (peas(A) min.4%, carrots min.4%), sunflower oil, lovage(A), minerals. (A)= from controlled organic farming sources, Skal 1301. There are currently no questions to display about Yarrah Organic Vegetarian Dog Pate - 150g.